A clay pigeon shooter is a handy device that throws clay high into the air for the user to practice their shooting on. It allows you to brush up on your shooting skills and is much more realistic than stationary target practice. Like any good sport, clay pigeon throwing needs practice, skills, and proper equipment. The most important tool you need, besides your shotgun, is a clay pigeon thrower (Source). A good clay pigeon thrower offers great performance, durability, and features, without costing a fortune. It should be lightweight and easy to operate, making your life easier. Don’t be overwhelmed by the amount of clay pigeon throwers on the market. Not all of them are worth the money. If you’re looking for the right one, here’s a list of the top five throwers on the market, and what makes them different from the rest. This pigeon thrower is very lightweight and easy to handle. It weighs around 48 pounds, which isn’t much, and comes with a two-wheeled frame and pull handle. Moving it around won’t be a problem. This trap can hold about 50 targets and can easily throw them up 50-60 yards. Between each throw, there’s a 2-second recycle time. As for the throw path, it remains consistent every time. You might actually get bored with how consistent it is. Luckily, you can change the angle within seconds. In terms of convenience, you’ll find that the entire assembly process takes about 20 minutes. It doesn’t require any prior knowledge or experience, just some common sense. This clay pigeon thrower rivals the last one. It’s really impressive, with its additional innovative features that set it apart from other throwers on the market. The most notable feature this thrower has to offer is a hand crank found on the back. This crank is basically responsible for adjusting the spring tension of the trap door. It lets you fully control the tension with your hand, no wrench needed! At full strength tension, you can go from the usual 55-yard distance to an impressive 80 yards. It also helps that it comes with a 25-foot cord foot pedal for launching your clay into the sky yourself. This thrower packs a powerful motor that runs smoothly without jamming. It’s definitely a clay pigeon thrower you can rely on. Here’s another solid clay pigeon thrower by Champion Workhouse. This model, in particular, is a new, revolutionized product that excels in compactness and versatility. This thrower has a capacity of up to 50 targets, with about 2.5 seconds between each throw. It also offers 3 different angles to choose from. You can switch between the angles easily just by pulling a pin that adjusts the legs. 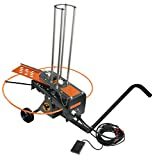 For launching your clay in the air, you get a foot pedal with a long 25-foot cord. This will allow you to cover a lot of different positions around the thrower while remaining in control. This thrower is one of the best when it comes to assembly. All you have to do is attach the legs, bolts and all, and then adjust the spring and you’re ready to go. It only takes minutes. The only thing worth mentioning is that you have to hook this thrower up to a car battery or a deep-cycle battery for it to work. This is a great choice for those who don’t mind a smaller magazine size. It has a capacity of only 25 birds, but it can be enough if you’re okay with reloading every now and then. Just like the last thrower, this one comes with a long-corded foot pedal, for full control of the launching process. It can throw up to 55 yards per target, with about 2.5 seconds between each one. Overall, it’s a great clay pigeon thrower that is compatible with several devices and remotes such as the Do-All Outdoors Trap Limo. If you weren’t satisfied with the 25-target capacity of the last thrower, then this one will definitely please you. It comes with an impressive 90-bird magazine that’ll make you forget about reloading. Another great feature it offers is that it lets you choose the number of birds you want per throw, either 1 or 2. Toggling between single and double targets only takes seconds. Same goes for adjusting the different shooting angles you can choose from. This thrower comes with a few safety features like a safety ring that lets you know if you’re within throwing range. The overall build of your clay pigeon thrower is something you can’t take lightly. You obviously want it to be durable and sturdy in order for it to last years, but there are a few other reasons you might not be aware of. Nowadays, most clay pigeon throwers you’ll find on the market are automatic. That means that you’ll have to set up all the equipment and everything on the ground. That’s where durability and sturdiness count the most. If your clay pigeon thrower isn’t strong enough, maybe even a bit flimsy, you’ll find all your shots going off point. It’s kind of like when a sprinkler is broken; you can’t accurately predict where it’s going to shoot. To that end, you need to look for a thrower that has a sturdy frame, preferably made of steel. You’ll find that several good choices also come with an aluminum-coated arm swing. These high-quality metals will definitely add to its overall durability. Build quality is also important because clay pigeon throwers are meant for outdoor use. That means they have to put up with all kinds of weather. That doesn’t just include snow and rain. You may not know this, but some clay pigeon throwers can be damaged from prolonged sun exposure. Choose the right equipment based on the settings of your activities. Keep in mind that clay pigeon throwers and the equipment that comes with them aren’t very cheap. You need something that won’t be damaged easily and will last for as long as possible. You shouldn’t need to buy a replacement every month. This may seem like an obvious factor to consider, but very few people think about performance. That being said, performance is really the most determinate factor when choosing any product on the market. You want a clay pigeon thrower that offers the best performance and features. Make sure there are enough positive ratings to ensure that it really works like it should. However, keep in mind that higher performance equals greater prices. Always keep your budget in mind. 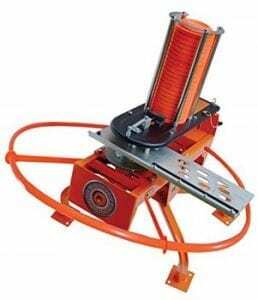 If you’re just starting out or you’re new to the sport, then you might want to go for a clay pigeon thrower that isn’t too expensive. Yes, even if its performance isn’t top-notch, as long as it works decently. The question is: how do you measure performance? Generally speaking, there are a few boxes to check when evaluating a clay pigeon thrower’s performance. One of the first things you should look at is how many yards the thrower can shoot up to. Of course, the farther it can throw, the better it is. A few other things to look at are the efficiency of its motor and its recycle time. A lot of clay pigeon throwers come with cutting-edge, innovative technology that can make the sport so much easier. If it’s within your budget, don’t be afraid to try one out. It’ll provide higher levels of performance. Convenience is really up to you. It depends on how much time you spend with the clay pigeon thrower. If you’re an avid fan of the sport and you intend on spending some time with the thrower, then convenience is a must. To that end, you should look for a clay pigeon thrower that is lightweight and portable. You don’t want to end up with back problems, having to carry a heavy thrower around all day. That being said, don’t sacrifice build quality and durability, just for the sake of having a lightweight thrower. You’ll find a lot of durable, lightweight clay pigeon throwers on the market, so don’t compromise. Another issue to consider, when it comes to convenience, is how easy it is to set up the thrower. Try to choose the least complicated clay pigeon thrower in terms of assembly. You don’t want to spend hours setting it up. Overall, you want to enjoy yourself, not spend time being annoyed and frustrated. A good thrower should be easy to operate. As an added bonus, you might want to consider a thrower with safety features that prevent you from getting hurt. 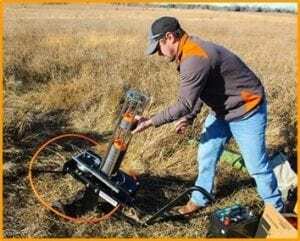 Angle is a very important factor to consider when buying your clay pigeon thrower. The more it allows you to adjust the angle, the better your game can get. With so many options to choose from, pick a thrower that best suits your style. Of course, the angle is only important when it comes to automatic clay pigeon throwers. Handheld ones don’t have a set angle because they rely on the thrower themselves to adjust the angle. One last thing you should remember is to make sure the thrower actually delivers on its promise regarding the angle. A lot of companies tend to oversell their product, so try to look up a reliable, trusted source and lots of reviews. The last thing to consider when buying a clay pigeon thrower is the accessories that come with it. It’s always great to know that you’ll be getting a few additional items with your purchase. But you should decide what items are best for you. Generally speaking, you’ll find that most clay pigeon throwers come with a variety of additional items. That’s because throwers aren’t very cheap, so companies like to add a few items to make the product more appealing. You’ll find additional items like battery cables, nuts, bolts, and clay guide rods. These can all be very useful and quite handy. Some clay pigeon throwers even come with foldable chairs to maximize your comfort! Warranties are also a common bonus. Think about the additional items each clay pigeon thrower has to offer if you want to get every penny’s worth. You’ve got a lot to think about if you’re going to buy a clay pigeon thrower. With all the different factors to consider, it’s only natural to be overwhelmed. After all, you don’t want to spend your money on something that isn’t worth it. 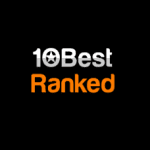 If you’re finding it hard to choose, why not pick one of the 5 throwers on this list? It covers all kinds of features, capacities, and builds. You can choose according to your preference and of course, your budget.